In October, the Maldives Supreme Court (SC) delivered its judgment in the case filed by the China-backed President of Maldives Abdulla Yameen to invalidate the Presidential Election of 2018. He had lost that election to the opposition parties which had formed a coalition, claiming that they had committed electoral fraud. What may seem like a fairly ordinary occurrence is in fact a story of longstanding battles for political power, bizarre allegations and flawed legal reasoning of Maldives’ Highest Court. The opposition coalition consisted of the Maldives Democratic Party (MDP) led by former President Mohamed Nasheed, the Jumhoory Party (JP) led by Gasim Ibrahim, the Adhalath Party led by Sheikh Imran Abdulla, and the ruling Progressive Party of Maldives’ (PPM) faction led by former President and half-brother of the current President, Maumoon Abdul Gayoom. Among these leaders, Gayoom and Imran were in prison during the elections, and Gasim was in exile in Germany, while Nasheed was in the UK under asylum. Despite calls of the United Nations demanding their immediate release, the government refused to comply with these calls. Far from symbolizing a fresh start, however, these opposition leaders consist of a former dictator, a business tycoon, and an Islamic scholar who accused Nasheed of using black magic to gain the population’s support – and all three of them worked with the armed forces to stage a coup in Maldives in 2012 which led to the controversial resignation of Nasheed, the first democratically elected President of Maldives. The opposition coalition, however, won the election and the President filed a motion with the Supreme Court (SC) to invalidate the elections on grounds of electoral fraud, and asked the Court to order the Electoral Commission (EC) to re-run the Presidential Election and to order the armed forces to investigate alleged electoral fraud. The case filed by the President, although founded upon electoral fraud, was heard as a constitutional matter before the SC. During the first hearing, the counsel for the EC pointed out that electoral fraud cases are within the jurisdiction of the High Court under section 172 of the Maldives Constitution. Section 172 provides that “a person may challenge a decision of the EC concerning an election or a public referendum, or may challenge the results of an election, or contest the legality of any other matter related to an election, by means of an election petition presented to the High Court.” Furthermore, section 64(a) of the Elections Act of Maldives states that any dispute regarding a decision made by the EC’s complaint mechanism or anyone challenging the results of an election shall be submitted to the High Court. The High Court’s jurisdiction in that regard is well-established as it has decided on electoral cases arising out of parliamentary elections and local councils’ elections on numerous occasions. While the Supreme Court acknowledged the High Court’s jurisdiction over electoral complaints, it nevertheless decided that the case at hand was under its jurisdiction pursuant to section 113 of the Maldives Constitution and section 11(a)(1)(3) of the Courts Act of Maldives. Section 113 of the Constitution stipulates “the Supreme Court, sitting together in session, shall have sole and final jurisdiction to determine all disputes concerning the qualification or disqualification, election, status, of a presidential candidate or running mate or removal of the President by the People’s Majlis [i.e. parliament]”. Section 11(a)(1) and (3) of the Courts Act lays down that the Supreme Court has original jurisdiction over matters that could lead the country to a constitutional vacuum or disrupt the constitutional system of the country and constitutional matters that are in a public interest. Relying on these provisions, the SC found that matters arising from Presidential Elections are related to fundamental human rights and the constitutional system of the country and thus fall under its jurisdiction. Furthermore, the SC referred to standards and procedures of elections laid out in section 65 of the Elections Act, ignoring, however, that the provision presupposes the High Court’s jurisdiction. The Supreme Court’s reasoning can only be described as flawed. First, it did not explain how disputes arising from electoral process and election results could lead the country to a constitutional vacuum or disrupt the constitutional system, or how it can be considered as a constitutional matter that has public interest. While the Supreme Court referred to the Constitution and Courts Act to establish its jurisdiction to hear the case, the Court concluded its judgment by stating that the President may submit the parts concerning electoral issues to the High Court. This is hardly comprehensible as the entire case was based on electoral issues. If, however, the Court’s underlying basis to hear the case was the notion that electoral issues may lead the country to a constitutional vacuum, this would imply that issues arising from parliamentary elections as well as local council elections should always be heard before the Supreme Court, as they fall within the constitutional sphere of Maldives. The Court could have established its jurisdiction under the Constitution and Courts Act by pointing out that it is the Court’s jurisdiction to hear all electoral cases related to Presidential Elections. Instead, the Court merely highlighted what the parties said during the hearings, ruled that there was no ground to invalidate the elections, and mentioned that the electoral issues of the case can be filed with the High Court. The Court’s decision to hear the case appears to be a poor attempt of the judges to secure their positions on the Supreme Court bench after the regime change. In substance, Yameen’s legal counsel alleged that the ballot papers were not stored as required by law and that the bid to print ballot papers was awarded to M7 – a company of which Gasim Ibrahim is a shareholder – in violation of the Financial Regulation. The President further claimed that the ballot papers had a chemical layer that made ticks marked on the President’s name disappear, and that those papers were later marked using a finger-ring that could write. The EC was accused of having provided voters with invisible ink pens. The opposition coalition dismissed these accusations as a fairy tale and said what’s missing from the President’s allegations is the use of a flying carpet to rig the election. The legal counsel of the EC responded that the bid to print ballot papers was awarded under the Financial Regulation with the authorization of the Ministry of Finance, and that the ballot papers were under police and CCTV surveillance after printing. But the procurement process awarding the print to M7 had indeed not been free of irregularities. Although the EC had initially invited two parties to propose bids for the project, the technical team of the commission decided all ballot papers must contain three security features after the bidding process was completed. Following this, the commission cancelled the bid and awarded the project to M7 Pvt Ltd, referring to section 10.25 of the Financial Regulation, which authorizes single source procurement under limited circumstances that were, however, not applicable to the case. The EC argued that there had not been sufficient time to re-open bids and conduct the elections within the constitutional deadline. The case filed against the EC was founded primarily on electoral process and results of the elections. There are conflicting articles in the Maldives constitution and the Supreme Court did not fully address these inconsistencies nor did it provide any guidance on how to deal with them. Instead, the constitutional vagueness and its conflicting articles were used by the Supreme Court to its advantage to decide on a case that should have been decided by the High Court. Although the SC upheld the change in leadership that the Maldivian citizens had voted for, it remains questionable whether a democratic transition of Maldives can be restarted with this particular coalition. The three parties have in the past worked to uphold the previous regime of Yameen who violated fundamental democratic norms and principles, and sided with Nasheed after Yameen’s government no longer served their interests. 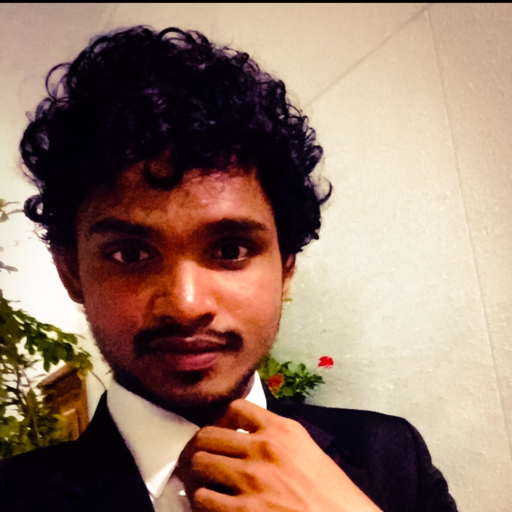 SUGGESTED CITATION Nazeer, Ahmed: Opportunism on the Bench – The Maldivian Supreme Court’s Decision Upholding the 2018 Election Result, VerfBlog, 2018/11/22, https://verfassungsblog.de/opportunism-on-the-bench-the-maldivian-supreme-courts-decision-upholding-the-2018-election-result/, DOI: https://doi.org/10.17176/20181122-225223-0. Very well said. Typical example of politically inclined judges making the most out of the situation to serve themelves.